I have always wanted to model. 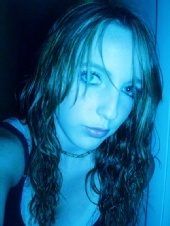 I have alot of pictures that I have taken myself on my myspace that I have edited. I believe that I have the potential and drive. Modeling is something I have always loved. I did one glamor shot when I was about 7 and I absolutely loved it, and I would love getting back into it. I have a unique look, and many freckles. I would make the most of this opportunity.